You’ve taken the big step and proposed and now your bride and almost everyone around you is focusing on her dress, the ceremony, the party, the food, the guest-list etc. etc. etc.… the list goes on and on….but what are YOU going to wear! 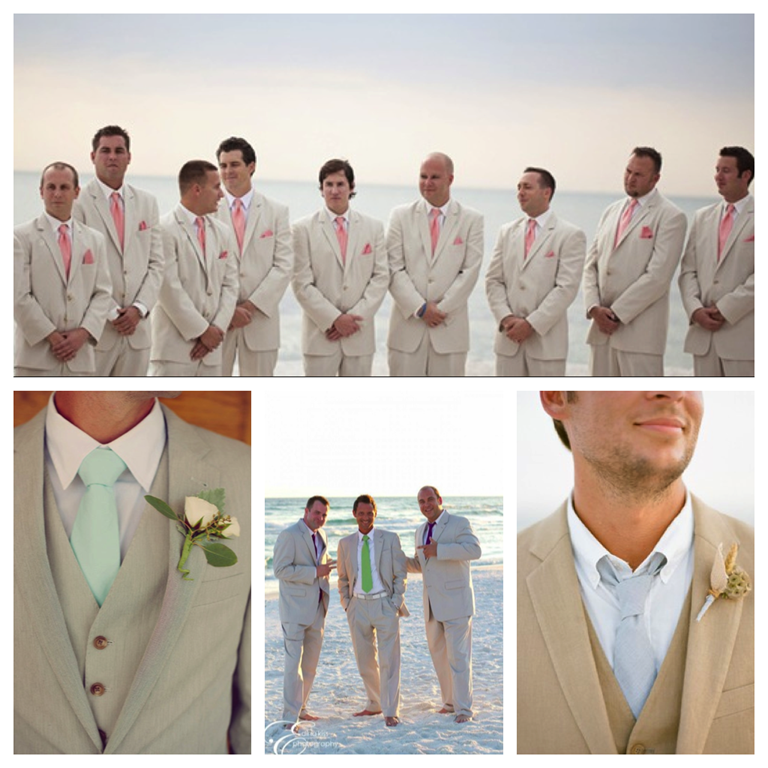 Your having a beach wedding so beach groom fashion is in order. 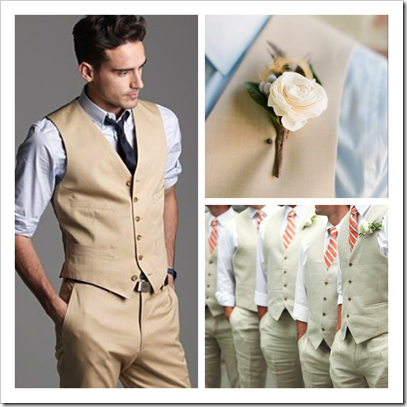 Even though your getting married in a more casual setting, rather than saying your “I do´s” big city style, you must still look the part. Elegant, handsome, like a groom. You’ve got to look sharp in hot weather. Lets talk Guayaberas. 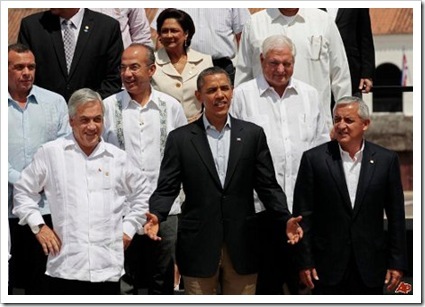 A traditional Latin American garment made of 100% cotton or linen. The weaves of the shirt determine its quality level and white and light pastel colors are the most common and traditional. Its origins remain obscure as some claim it was incented in Cuba and others in Mexico’s Yucatan Peninsula. I personally think its the latter. In Mexico, long sleeved guayaberas (long sleeves is dressier) are very traditional and worn throughout the country by men in all kinds of events held in hot weather climates or beach settings. 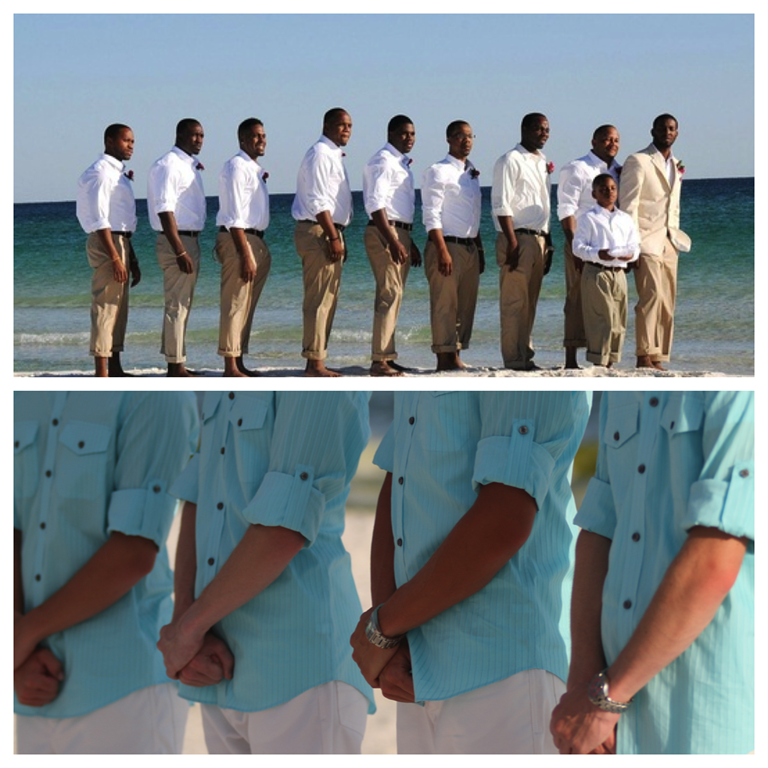 If your having a more casual Cabo beach wedding for instance, you could wear a white or cream colored, tailored, long sleeved guayabera with cuff-links and have your groomsmen wear light-blue, short sleeved guayaberas. These elegant, dress shirts are meant to be worn untucked and without a jacket. 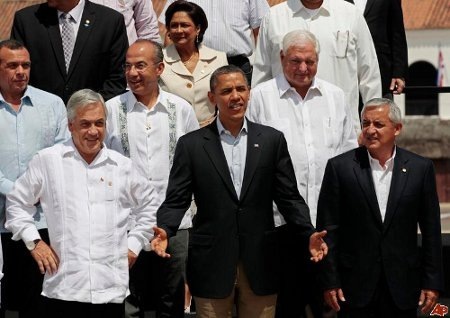 Check out many of Latin Americas heads of state, including Mexico’s President wearing Guayaberas to the Summit of The Americas. 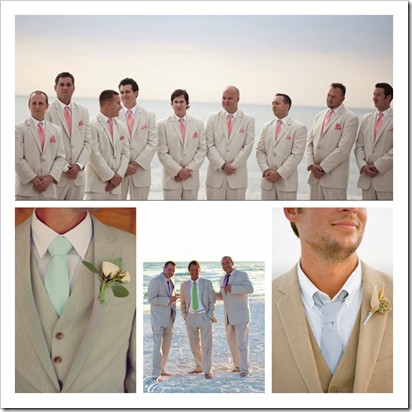 However if your wedding in Cabo is more elegant and held at night for instance, or you just want to look a bit more dressed up, then go for a khaki or beige colored linen suit. You could pair it with a crisp white shirt and a color tie, or wear a light colored shirt and no tie. 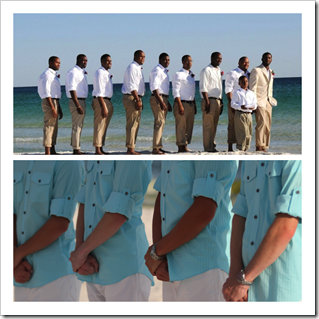 Your groomsmen could wear a guayabera matching your tie or shirt color…..don’t be afraid to mix and match, your at the beach! If a suit is what you prefer, there is also the seersucker option. 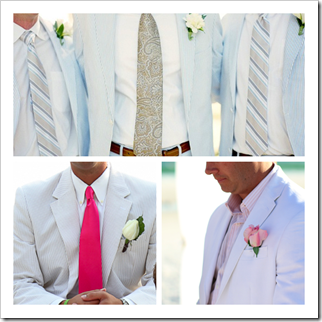 With a nice preppy look, its still casual enough for the beach but elegant enough for your wedding. 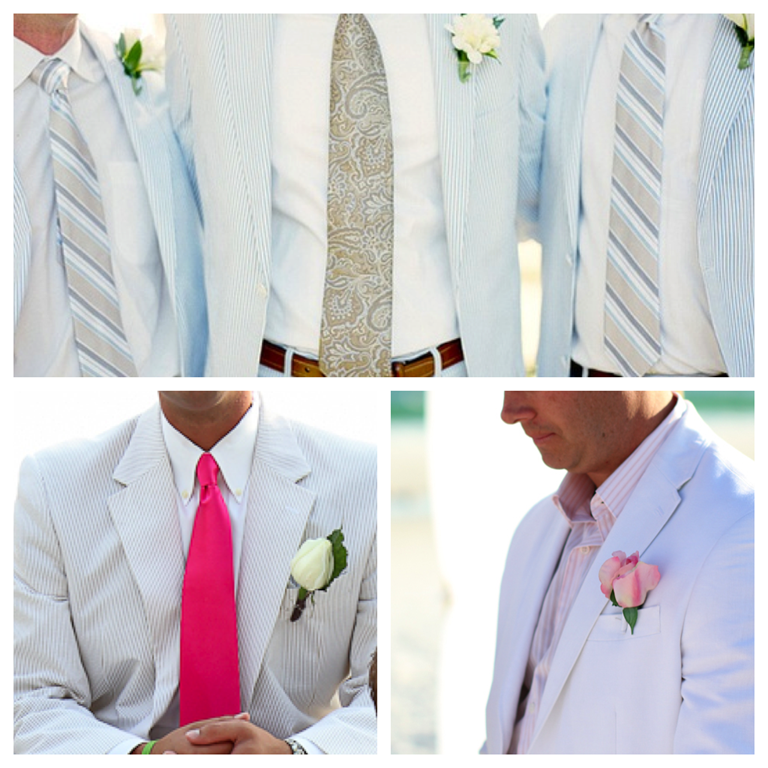 Light blue, navy or beige stripes give your attire a nautical feel that is perfect for a beach wedding. 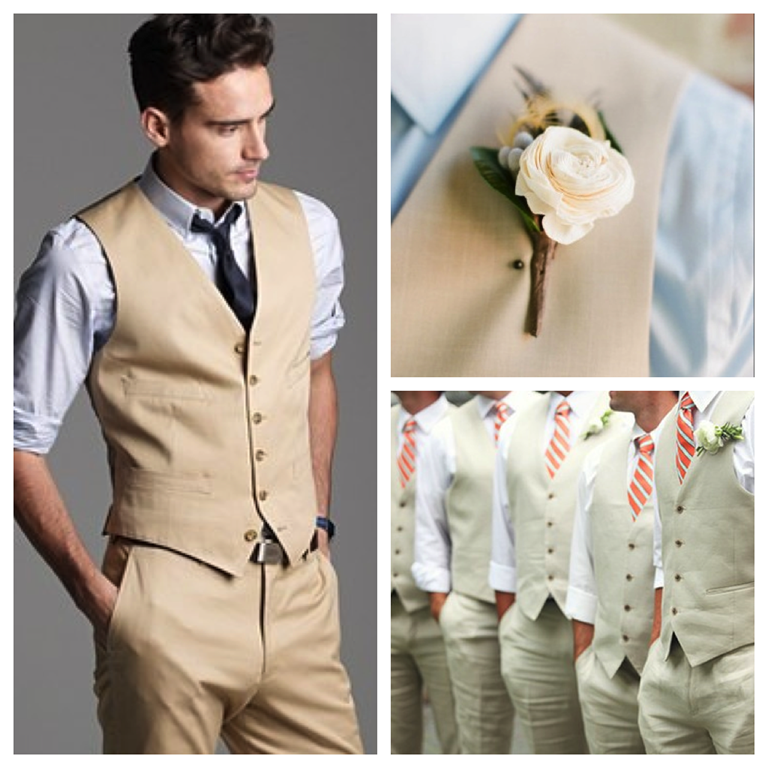 Or, you could want to be less traditional and bit more trendy by wearing a vest without a jacket. Less put together, a look for a more casual, laid back wedding, but still very stylish and beach wedding worthy. So remember grooms the bride isn’t the only one with options!